I am the fourth-grade teacher at Palouse Prairie Charter School (PPCS) in Moscow, Idaho. 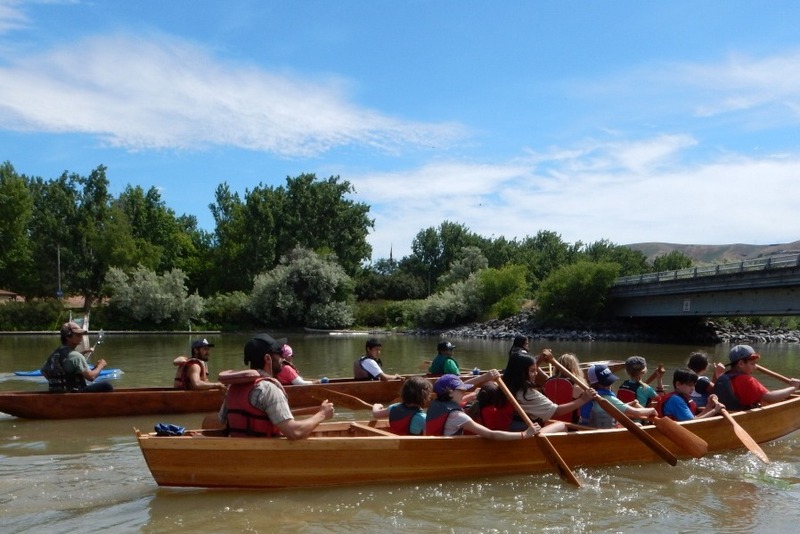 I need your financial support to continue to engage my students in hand-on, inquiry-based learning through building hand-made traditional canoes as symbols of the confluence of cultures throughout our history and today. I am trying to raise $36,000 so that I can provide the canoe-building and paddle-carving opportunity to my next three years of fourth-grade students. My long-term goal is to engage my students in building a traditional canoe with and for an organization from each of the five federally-recognized tribes in Idaho, and with tribal organizations throughout the Northwest region. Below is a little bit more about the project that I have developed to meet Idaho State Standards and provide rich, meaningful and unforgettable learning opportunities for my students. I hope you are inspired by what you read here and by the incredible things you may have seen by being involved in this project over the past two years. And I hope that your inspiration motivates you to donate what you are able. PPCS students and I assure you that this is an incredibly worthy cause! 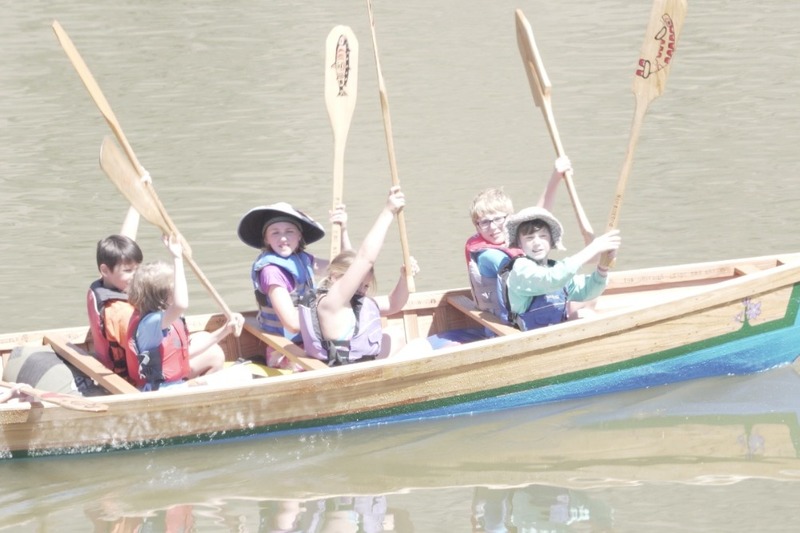 Click here to watch the new film Blooming Culture: a story about a canoe and the confluence of cultures (9 minutes) directed by PPCS graduate Avery Caudill about the 2018 fourth-grade crew's experience building and paddling their very own canoe. 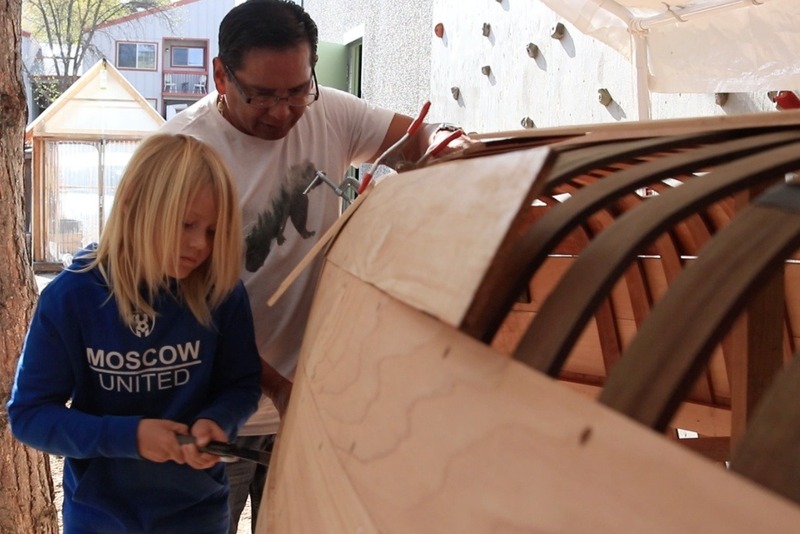 The fourth-grade students at PPCS have been actively involved in the resurgence of traditional canoe building throughout the Pacific Northwest. Each spring, fourth-grade students engage in a semester-long learning expedition to study westward exploration (i.e., the stories of Lewis and Clark and David Thompson), subsequent expansion of the U.S.A. (i.e., colonization), the impact of expansion on indigenous peoples, the meaning of culture, the stories and cultures of indigenous peoples of Idaho, how stories (written and oral) reveal culture, and how sharing stories can promote deeper understanding and compassion for ourselves and others. 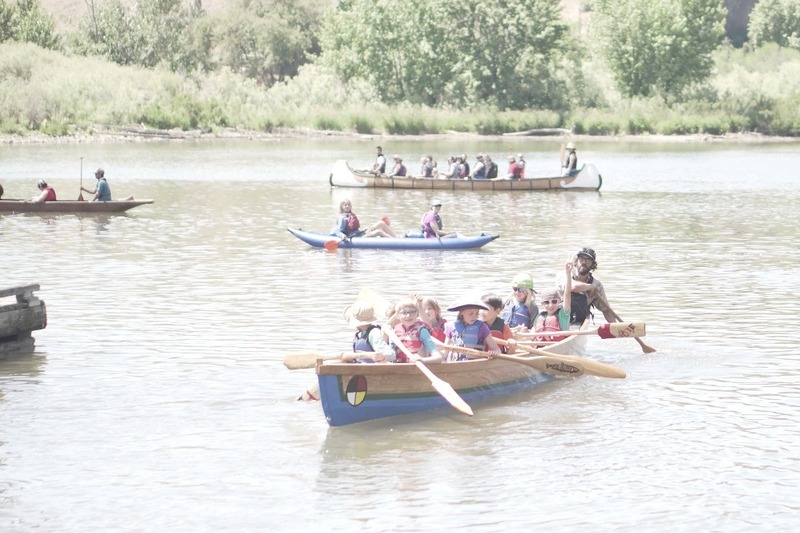 As part of this standards-based educational expedition, the fourth-grade crew builds a David Thompson-style cedar plank canoe, which was traditionally built incorporating both European and Indigenous forms and techniques, and symbolizes the confluence of cultures throughout the Pacific Northwest region and beyond. Each student also hand-carves their very own paddle. 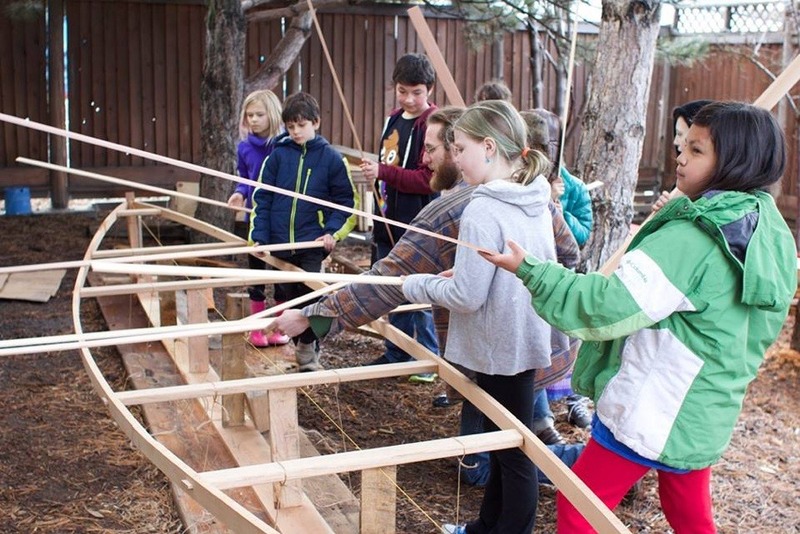 The canoe-building process is guided by The River School (a.k.a. Voyages of Rediscovery) program staff who have led this process with 14 schools and communities in the U.S.A. and Canada. 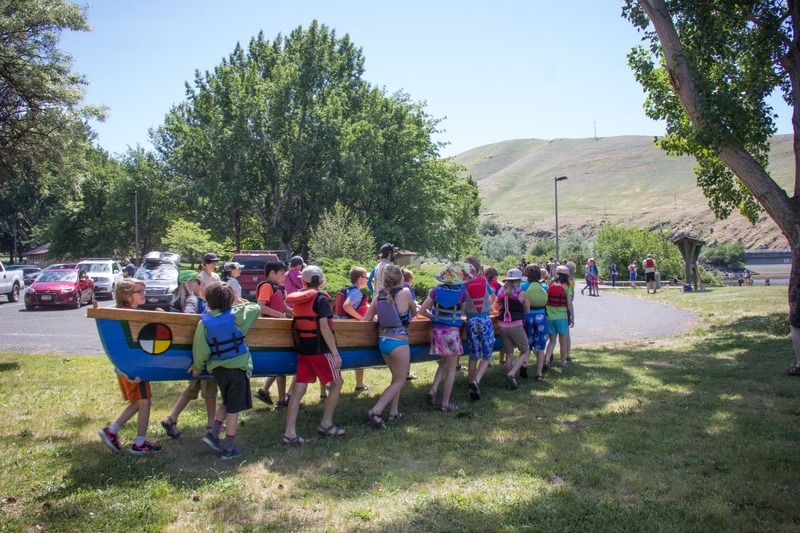 In May each year, as a Celebration of Learning, we will host a paddle trip on the Snake River where students, families and community members from PPCS, tribal organizations, and canoe families from Pacific Northwest Tribes will paddle together in handmade canoes to celebrate ecological and cultural connections among the rivers and peoples of the lands we share. Each 4th grade class needs $12,000 to build their canoe. Each year these funds are used to purchase all materials for the canoe and paddles (i.e., cedar, woodworking tools and blades, hardware, epoxy, fiberglass, paint), cover transportation costs associated with taking purchased materials to the building site and of collaborations with local and regional canoe families and tribal organizations, pay Voyages of Rediscovery staff for their professional services, and host a celebratory paddle trip to welcome each new canoe into the regional canoe family. So far this project has been funded by grants received through the continuous hard work of an already overworked teacher and incredibly supportive donors who have funded those proposals (i.e., Nez Perce Tribe, Latah County Community Foundation, Idaho Commission on the Arts, Outdoor Nation, EL Education). My goal as the teacher is to build a fund to keep this project successful every year! Your donation toward my goal of $36,000 will allow me to provide the canoe-building and paddle-carving opportunity to my next three years of fourth-grade students. Meanwhile I can focus my efforts on securing long-term funding to engage my students in building a traditional canoe with and for an organization from each of the five federally-recognized tribes in Idaho, and with tribal organizations throughout the Northwest region. 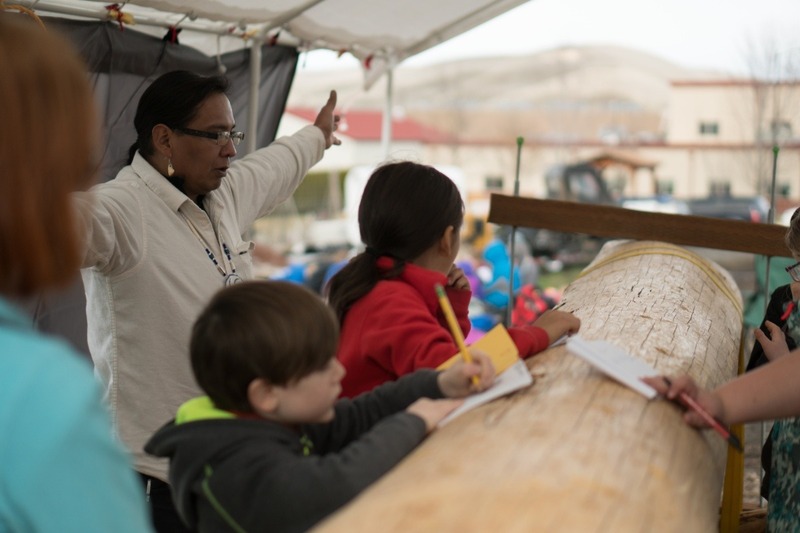 This year (spring 2019) we will work with the Nez Perce tribal organization Nimi´ipuu Protecting the Environment (NPE) to build a David Thompson-style cedar plank canoe that NPE can use to provide paddling opportunities for tribal and non-tribal youth and adults into the future. Your contributions will make it possible for 4th grade students to build a canoe for and with NPE this year, and will allow future fourth graders to build canoes for other tribal organizations who are working hard to make their cultures visible by bringing back the traditional canoe and bring people to the water! Your donation will support culturally appropriate and culturally responsive education, authentic cross-cultural interactions in building and paddling traditional canoes with canoe families from Pacific Northwest Tribes, and the empowerment of youth to effect needed social and environmental changes in the world we share. Palouse Prairie Charter School (PPCS) is a tuition-free public K-8 charter school located in Moscow, Idaho. PPCS receives no additional funding from local tax levies and 30% of students live in low-income households. We are dedicated to creating an inclusive, respectful, and supportive learning environment for all students, staff, and families. As a credentialed EL Education school, PPCS supports all students in developing content knowledge and skills through semester-long learning expeditions that address real-world issues, meet state standards, and culminate in students creating a high-quality final product with and/or for an authentic audience beyond the classroom. In this process, we seek to provide all students with meaningful opportunities to interact genuinely with community members from a variety of backgrounds, experiences, and cultures. This project aligns with the PPCS school mission to provide students with opportunities to engage in real world, hands-on, meaningful work. This project is also a unique opportunity for students to practice two of our school design principles: Service and Compassion, by building a canoe and giving it as a gift to Nimi´ipuu Protecting the Environment, and other tribal nonprofit organizations; and Diversity and Inclusion, by authentically interacting with different cultures in Idaho to gain a deeper understanding of our similarities, differences and connections. Teachers like me who are passionately dedicated to these types of projects rely on securing financial resources through external grant funding and crowd sourcing. If you would like more information about this project or would like to share your ideas or celebrations, please contact Renée Hill, 4th grade teacher, rhill@palouseprairieschool.org. Thank you for your interest in the Confluence of Cultures project! I hope that you are inspired by what you have read here, and to make a donation that will positively impact the lives of youth, their communities, and Pacific Northwest canoe families for years to come! Hello friends! Thank you for helping to raise over $7,745 so far! We only have $4,255 to go to make this year's canoe for Nimi´ipuu Protecting the Environment. The kids have already started by shaping the gunwale and cutting out the thwarts. Next week they will make the keelboard. Please keep sharing this donation opportunity with all of your friends! Thank you!